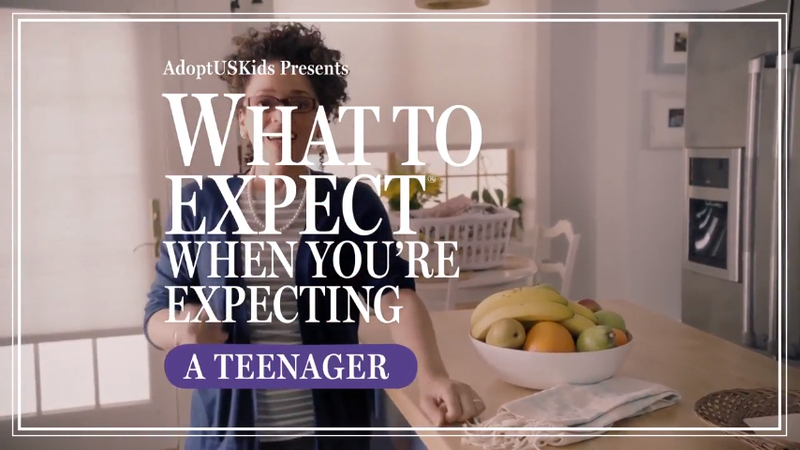 An evolution of the ‘Adoption from Foster Care’ award-winning “you don’t have to be perfect to be a perfect parent” execution, AdCouncil’s latest campaign leverages the iconic pregnancy guide, What To Expect When You’re Expecting, to reassure prospective parents that they don’t need to know it all to be a perfect parent to a teenager - they just need to be there. 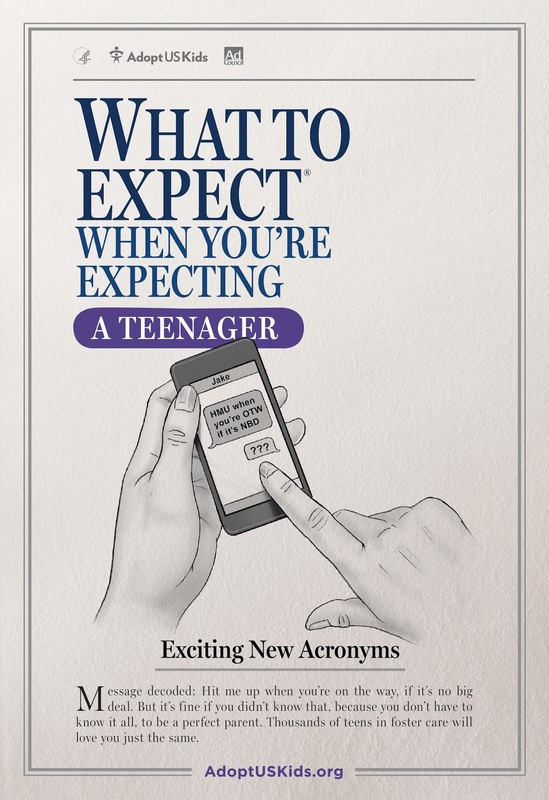 KBS collaborated with the authors and illustrator of What to Expect When You’re Expecting on the campaign, which includes TV, out-of-home, print and digital. A Facebook live Q&A will also take place on AdoptUSKids’ Facebook Page to enable Kathy Ledsema, National Project Director for AdoptUSKids, as well as an adoptive mother and her teen son, to share their stories and experiences with potential adoptive parents. The campaign’s TV spots and Digital videos feature well-intentioned moms and dads attempting to give new parents of teens step-by-step parenting tutorials in the distinctive What To Expect When You’re Expecting tone – namely how to wake up your teen and how to teen-proof your home. 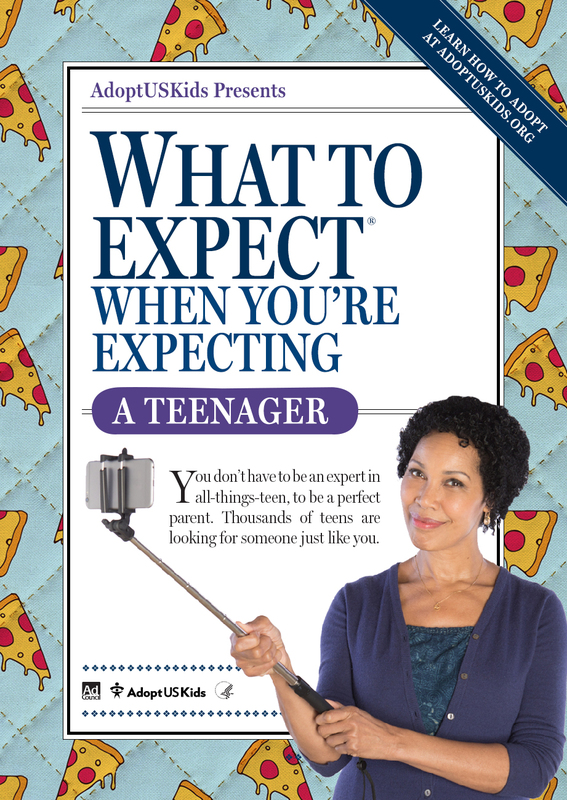 The print, digital, and out-of-home executions parody the original book cover and illustrations by humorously showing common scenarios parents can expect when adopting a teen (like confusing text messages, binge-watching and prom-posals). 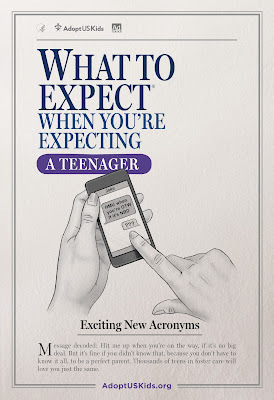 For more information about adoption, or about becoming an adoptive parent to a child from foster care, please visit adoptuskids.org or visit the AdoptUSKids social communities on Facebook and Twitter. Since the project’s launch in 2003, more than 28,000 children who were once photo listed on AdoptUSKids have been placed with permanent families.